RE: Are aluminum mirror sheets used for curtain walls? Yes. Main materials for curtain wall include stone, glass, plastic composite materials, aluminum panels etc. Raw material of aluminum panels can be further divided into plain aluminum sheet, color coated aluminum sheetand aluminum mirror sheet. The surface of mirror finish anodized aluminum sheet for curtain wall is very beautiful. The gloss is very high, and the color can be coated during anodizing. Therefore, it’s ubiquitous in interior decoration, either as decoration material of the house, or as parts of ornaments. It can be made into a hexagon, a circle, a triangle, and the like. In the field of interior decoration, it’s common to make it into different shapes to match the surrounding environment, which greatly improves its adaptability in interior decoration. In the global trend of environmental protection and sustainable development, mirror finish anodized aluminum sheet wins popularity with light weight, clean material and recyclable property. Specifically speaking, mirror finish anodized aluminum sheet for curtain walls has the following advantages. 1. Light weight, good rigidity and high strength; 2.0mm thick aluminum plate has a weight of 8kg per square and tensile strength of 100-280n/mm2. 2. Good corrosion resistance; pvdf fluorocarbon paint based on kynar-500, hylur500 can last 25 years without fading. 3. Advanced technology: mirror finish aluminum sheet for curtain walls are made through top-grade processing and painting technology, and the sheet can be processed into various messy geometric shapes such as plane, arc and spherical surface. 4. Uniform coating and diverse colors: Leading electrostatic spraying technology makes the paint and the aluminum plate evenly attached to each other. Diverse colors make large the selection space larger. 5. Easy to clean and maintain: The non-adhesiveness of the fluorine coating film makes it difficult for dusts and stains to adhere to the surface of the aluminum plate. 6. 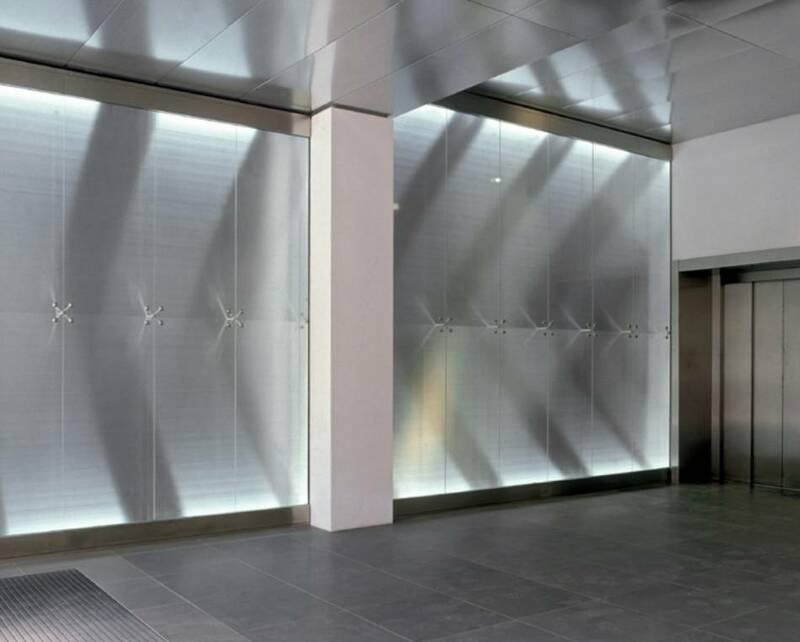 Convenient and quick to install: Mirror finish anodized aluminum sheetsare processed into desired shapes and sizes ready to be installed, and there is no need for further processing steps at construction sites. 7. Environmentally friendly: Aluminum panels can be 100% recycled, while other materials like glass, stone, ceramics and aluminum composite panels have a much lower recycling value.